Condition: F-VF. Item ID: kka_3295. FULL SHEET OF 10. SOLD AS UNUSED NO GUM. SOLD AS IS. MH, MLH, MHH - Mint Hinged, Light Hinged, Heavy Hinged. Centering, Perfs, Paper condition, etc. are as shown in image. MNH - Mint Never Hinged. 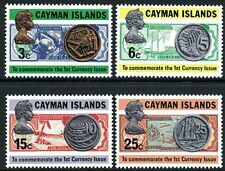 LARGEST CARIBBEAN ISLAND - VALUABLE COLLECTION - ALL OLDER - MANY BETTER - LOOK! UNCHECKED FOR VALUE AND YOU WILL NOT FIND A BETTER VALUE. A WONDERFULLY INEXPENSIVE WAY TO FILL THOSE ALBUM SPACES. BUT YOU WILL BE HAD-PRESSED TO FIND A BETTER COLLECTION AT A LOW STARTING PRICE. YOU WILL RECEIVE EXACTLY WHAT IS IN THE SCAN. Martinique Air Post Semi-Postal Stamps "Lot of 3 from 6/22/1942" REMARKABLE! Also Scott #779A. 1984-85 Scott #771-74 Mushrooms. a pretty image. 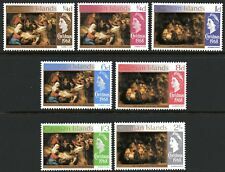 SPANISH CARIBBEAN 19 MINT HINGED OG * NO FAULTS VERY FINE ! New ListingCaribe ca1930s, lote 8 sellos, imperforados, 1, 2, 3, y 5 cents. The photos are from the kiloware you get. Scarce first flight cover backstamped twice. Heavy cancel, centered, light cancel, etc. Otherwise I make my best guess. If you have most of the set but only want the missing stamp maybe you’ll find it here. This is also a hobby that I truly enjoy. MNH - Mint Never Hinged. Centering, Perfs, Paper condition, etc. are as shown in image. MH, MLH, MHH - Mint Hinged, Light Hinged, Heavy Hinged. Centering, Perfs, Paper condition, etc. are as shown in image. MNH - Mint Never Hinged. MH, MLH, MHH - Mint Hinged, Light Hinged, Heavy Hinged. 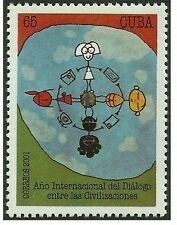 Title: Saint Vincent Stamp - John Lennon Stamp - NH. Stamp Country: Saint Vincent. Condition: NH - Mint Never Hinged. CARIBE 1910S LOT X 22 PERSONALITIES ARCHITECTURE WAR AIRPLANE FLAGS MINT SC# 242 243 244 245 250 251. Scott's 1171, a-f, MNH. 2007 MONTSERRAT. What you see in the picture is what you will be receiving. Perforation intruding into stamp body. 1200 dpi scans Approx perf 14.5x15. Caribbean Scott #C18-C21 Mint Never Hinged Scarce Imperf! Pristine Set Mint Never Hinged From Old Collection And Imperf! Only 1 available! WOMAN HOLDING CHILD ALOFT-CHILD, FDC XF. 1896-1904 Trinidad. Minted By Franklin Mint In 1981. Solid Sterling Silver. 925 Fine.